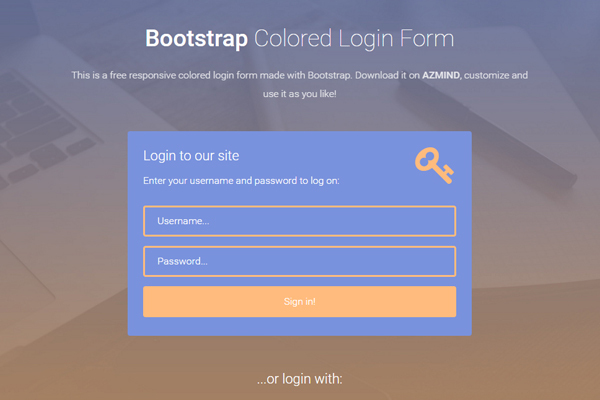 Today’s freebie is a new package containing some colored Bootstrap login forms which I created using these other forms, released a few months ago. 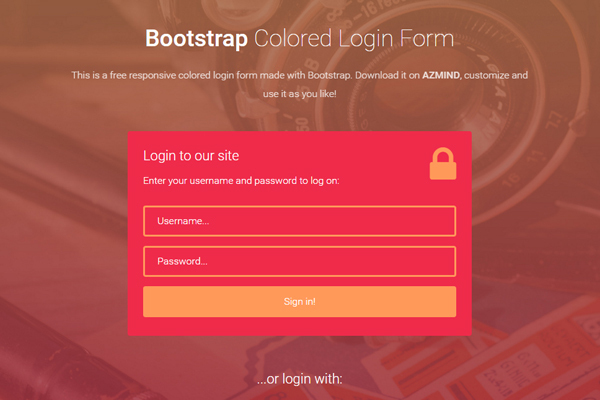 I updated the Bootstrap and Font Awesome libraries to the latest versions, modified some small details and changed the colors and backgrounds, giving a new style to these templates which I hope you’ll like. The package contains 3 different responsive login templates to integrate in your Bootstrap projects, customize and create beautiful login pages. 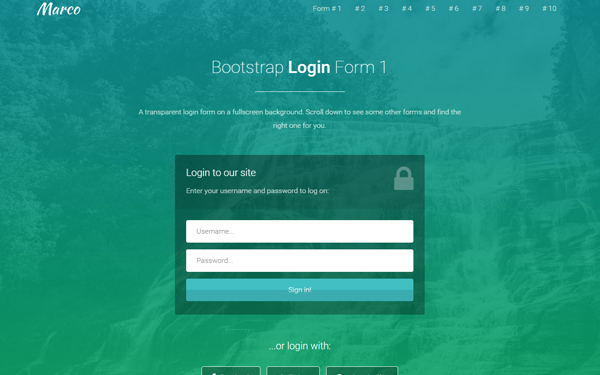 Some of the features include: fullscreen background, Font Awesome icons, simple jQuery form validation to prevent users from leaving the fields empty. Take a look below for the full list of features, the live preview link and the download link. Enjoy! Download the zip package below and extract it. You’ll see that each form template is in its own folder (named “form-1”, “form-2”, “form-3”) with all the needed files. 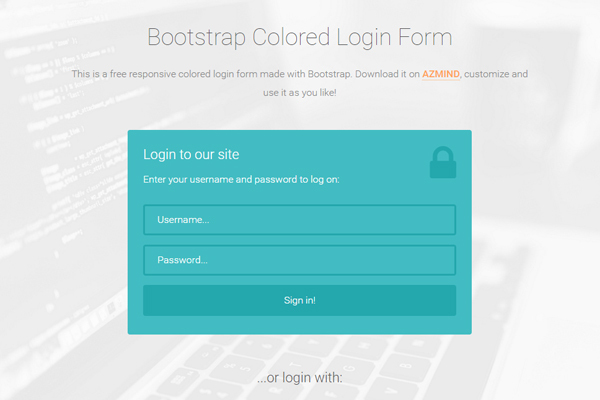 You can use these login form templates in personal and commercial projects, but you can’t sell or distribute them directly, “as is”. If you plan to use them, a link to this page or any form of spreading the word will be much appreciated. 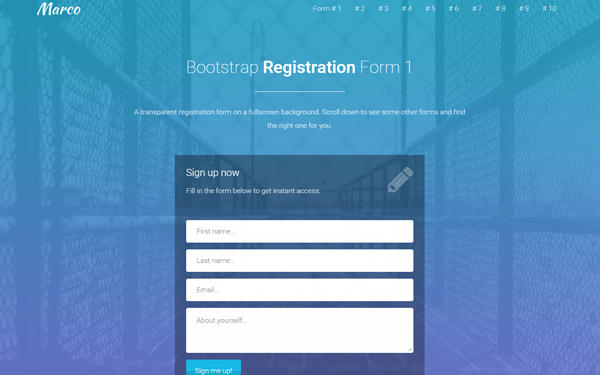 Hi, I don’t like iframes so I’d use raw code and style the form myself.